Award-winning sculptor Stan Dolega was born in industrial Detroit, Michigan, and has lived in Laramie, Wyoming since 1979. Lured by the vistas, culture and inspirational beauty of Wyoming he witnessed after repeated visits to the state, it was an inevitable decision to make the move and set up shop. 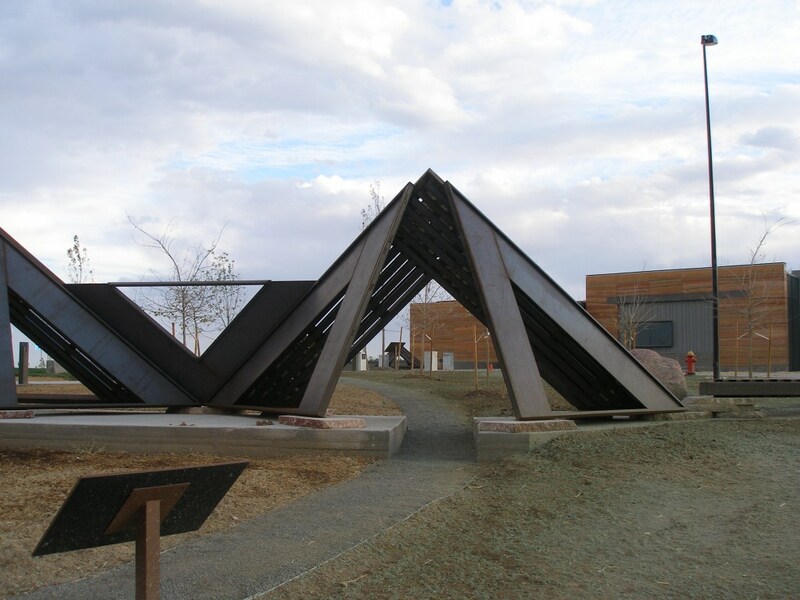 In 2012, he was honored with a commission from the State of Wyoming to create WIND CODE, the multi-part steel and stone sculpture pictured here, as part of the newly-built Southeast Wyoming Welcome Center. The Welcome Center will hold a dedication event on May 4 for WIND CODE, including a speech by Dolega. Dolega’s earliest interest in art was prompted by his parents. He clearly recollects detailed observations of his artist mother creating paintings in her studio and of his physician father planning and building a wooden garage. He was fascinated by the creative process, the thinking and the planning and the doing. Years later he chose to major in Industrial Design and Sculpture (with minors in graphics and the histories of art and architecture), earning his Bachelor of Fine Arts degree from Michigan State University and Master of Fine Arts from Wayne State University in Detroit. He became strongly influenced by the pioneers of modern architecture: Frank Lloyd Wright, Mies van der Rohe, Le Corbusier, and Gaudi. Through his studies and research, Dolega also learned the construction methods and techniques used to make the diverse range of practical hardware that eases our lives, always believing his acquired knowledge and skills would facilitate his goal of creating uniquely interactive sculpture that would pique curiosity and provide emotional pleasure to viewers and physically enhance the outdoor environment. Also playing a large role in Dolega’s artistic visions are his immediate environment, places he has traveled and lived, and a spiritual connection to and respect for the Earth. 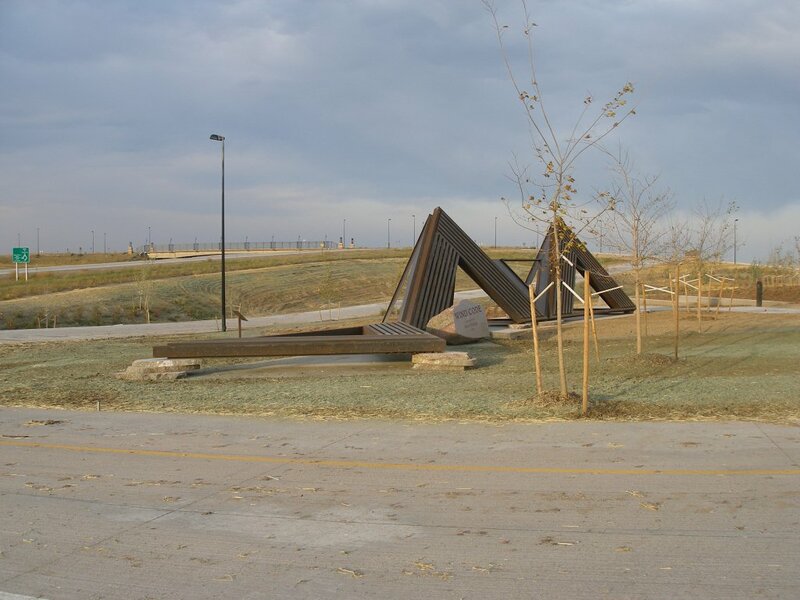 Nearly all of Stan Dolega’s public art installations are designed for a specific place or site. This is done after deliberations with a client and a careful inspection and interpretation of the near and far environment of the chosen site. 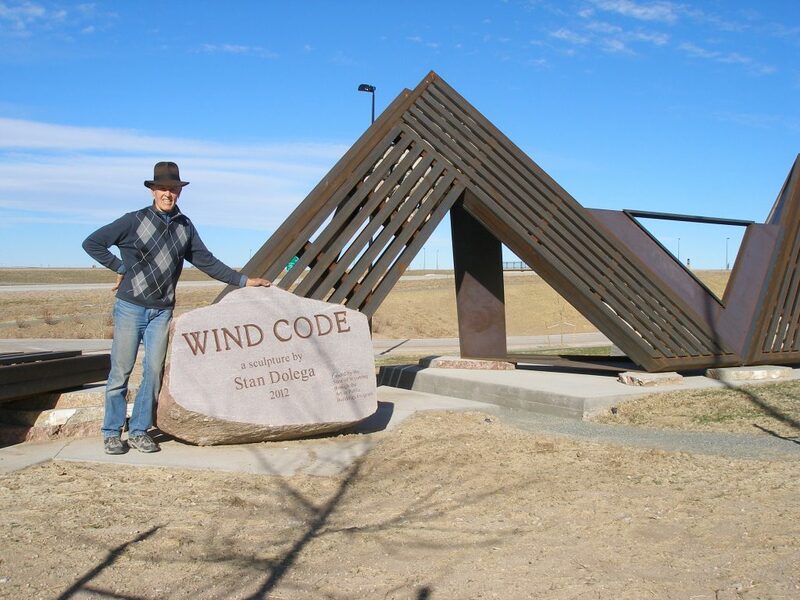 WIND CODE was created in this manner to accompany the new Southeast Wyoming Welcome Center. 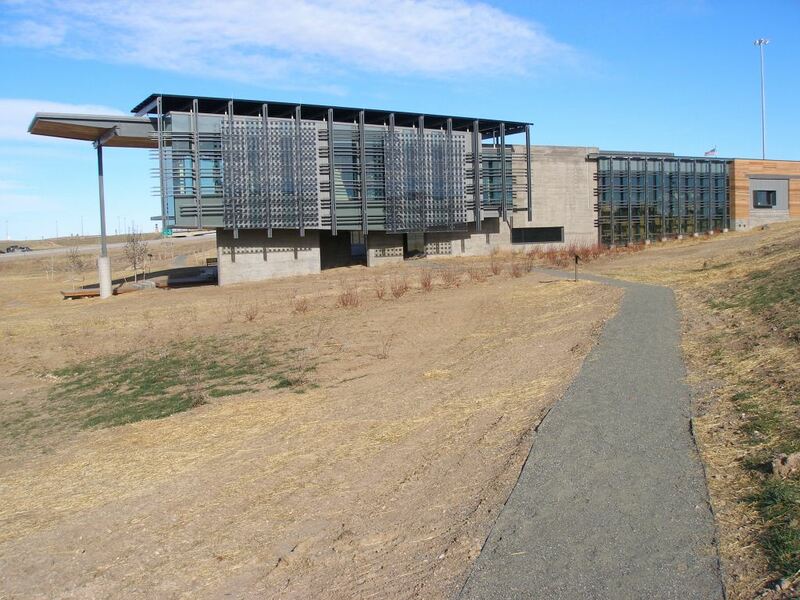 Inspirational sources for this artwork include the architecture and purposes of the Welcome Center itself, the ever-present snow fencing along the highways, and especially the space and natural environment comprising the State of Wyoming. WIND CODE was designed to work with and react to the environment and the elements. The sculpture will continually evolve and change. Its patina will age, the wind will flow through the slats, the sun will cast ever-changing patterns and the ice and snow will cover and melt in surprising ways. WIND CODE was built in Cheyenne and weighs approximately 34,000 pounds total. The marker rock alone is 5,000 pounds, and one of the large standing steel components is 8,700 pounds. 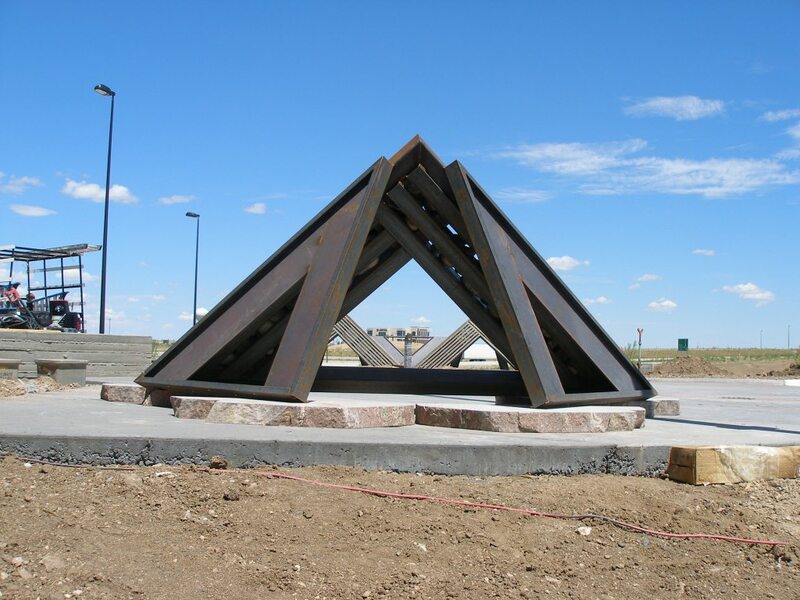 Some of Dolega’s other commissioned artworks have been installed in Cheyenne, Laramie, and Hanna, Wyoming; Belle Isle and Clark Park, Detroit, Michigan; Montgomery County, Maryland; Dayton, Ohio; and The Federal Building, Wenatchee, Washington. Dolega’s work is represented in numerous public and private collections including The National Collection of American Art, Smithsonian Institution, and he is featured in John Beardsley’s book Earthworks and Beyond and Dennis Alan Nawrocki’s Art in Detroit Public Places. His awards include a Wyoming Arts Council Artist’s Fellowship, a National Endowment for the Arts Art in Public Places Grant, and a National Endowment for the Arts Artist’s Fellowship.